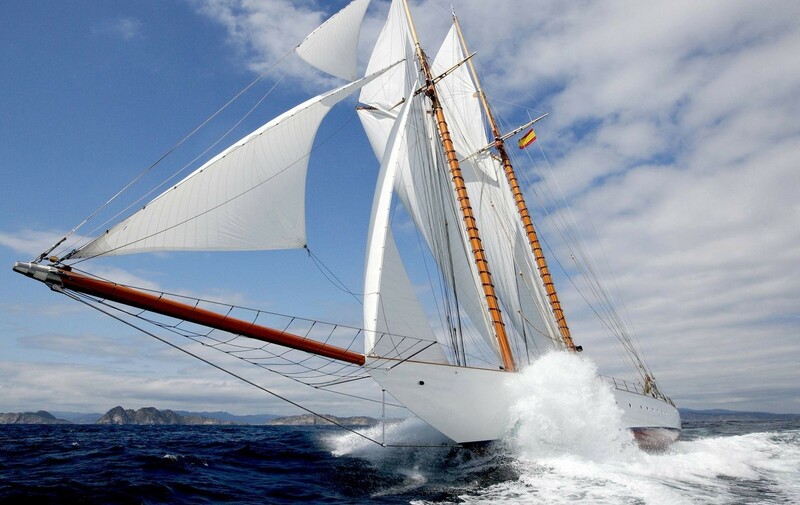 Classic Sailing Yacht ELENA is a traditional sailing schooner and she was built and launched in 2009 from Factoria Naval de Marin. 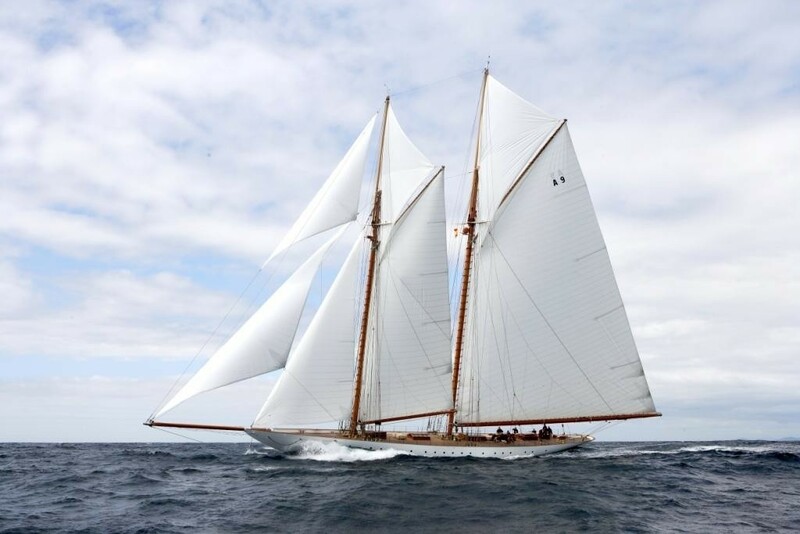 ELENA has been conscientiously recreated from the 1910 yacht of the same name using the original drawings by designer Nathaniel G Herreshoff. 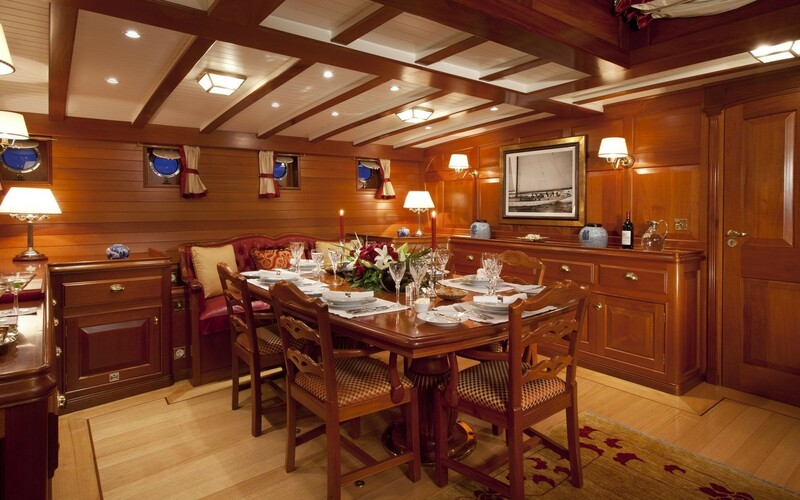 8 Charter guests will find an exhilarating yacht which combines performance, elegance and beauty. 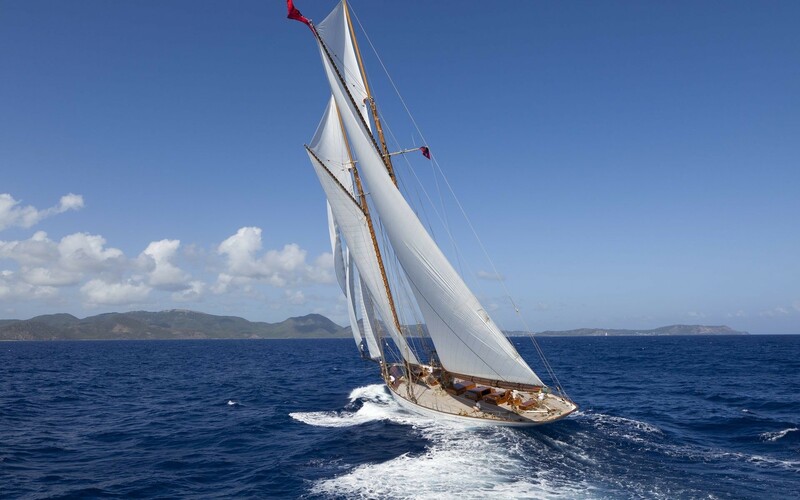 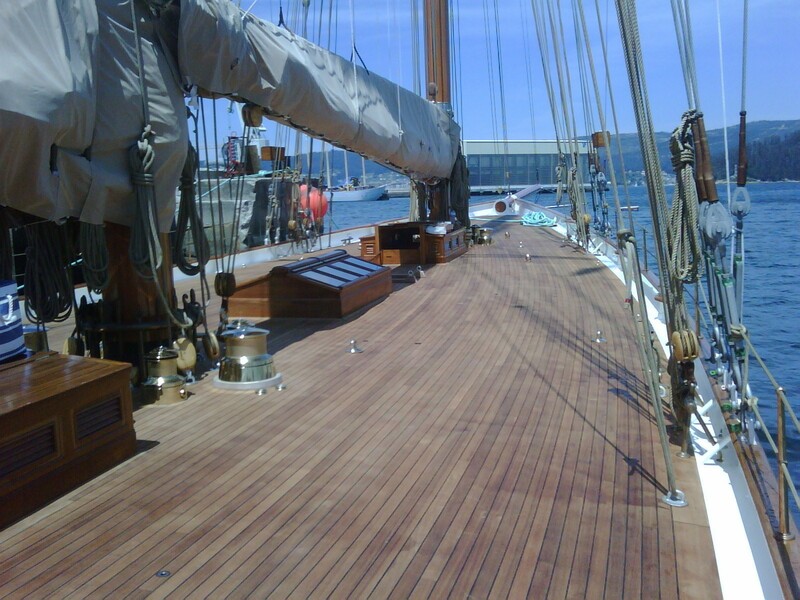 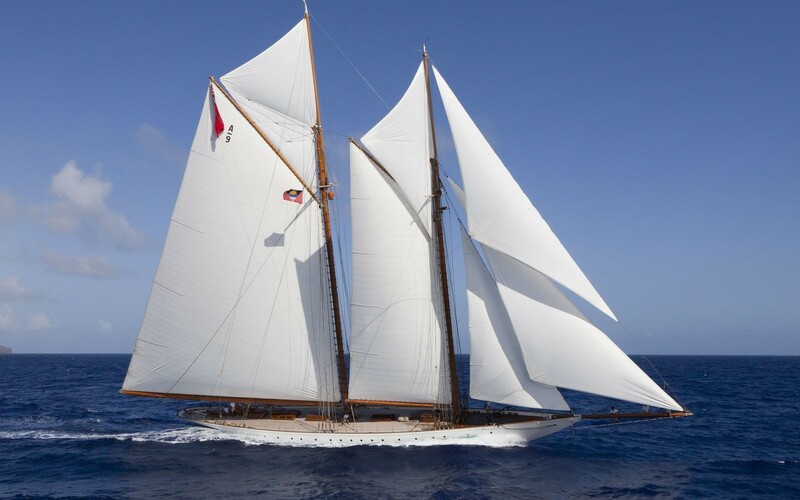 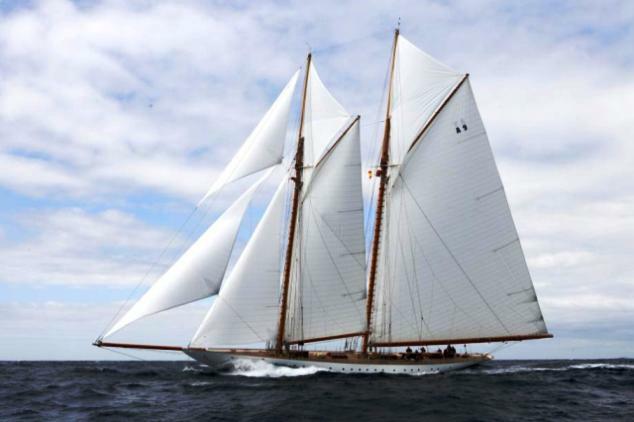 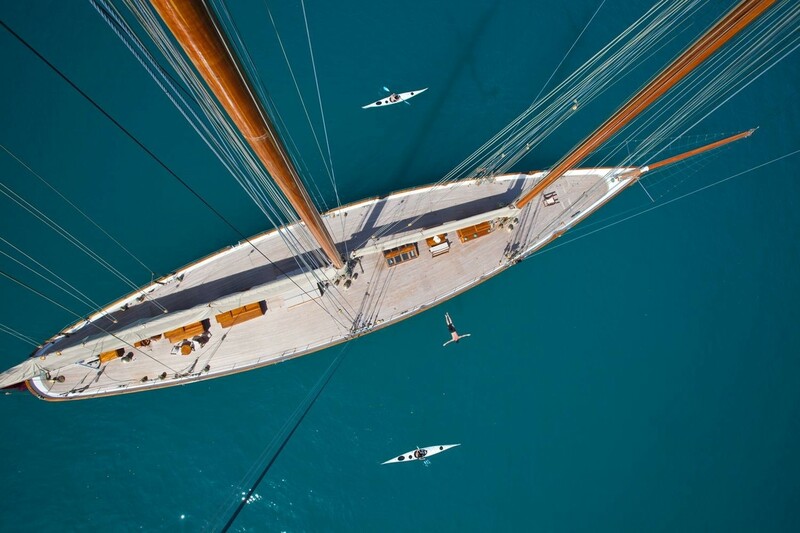 Sailing Yacht ELENA was ‘born to sail’ as her predecessor was, almost one hundred years earlier. 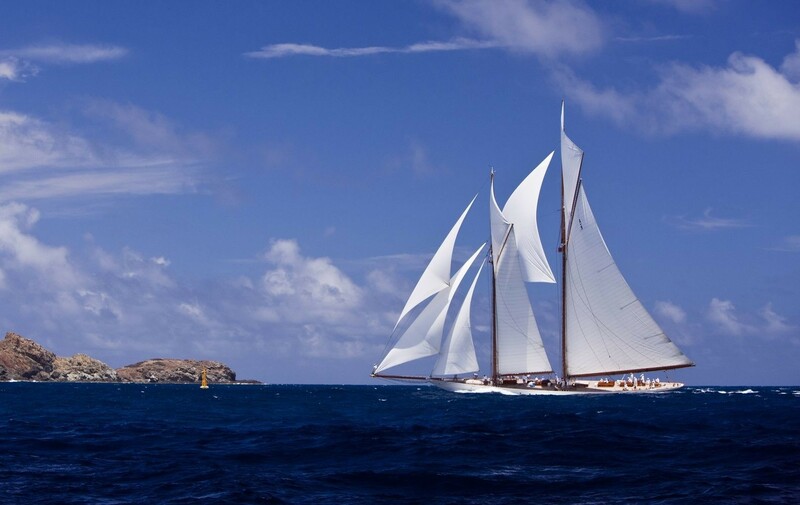 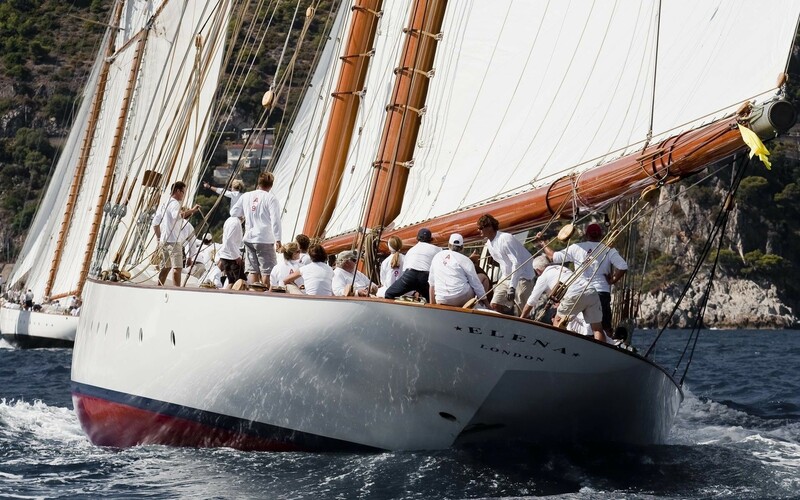 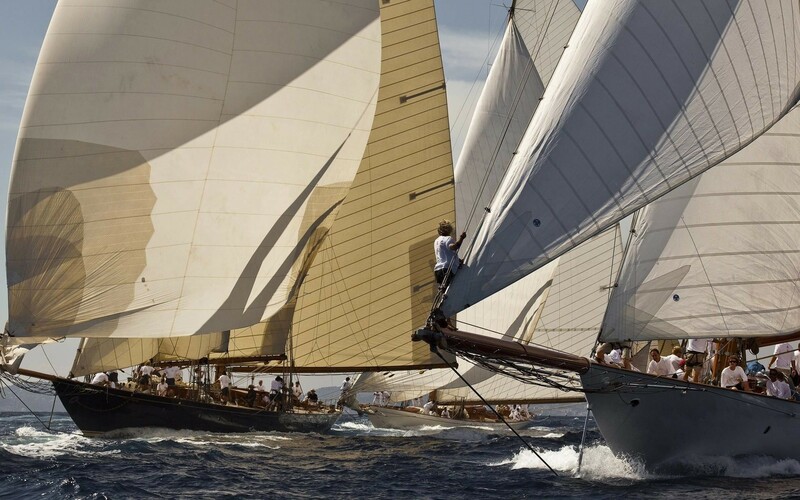 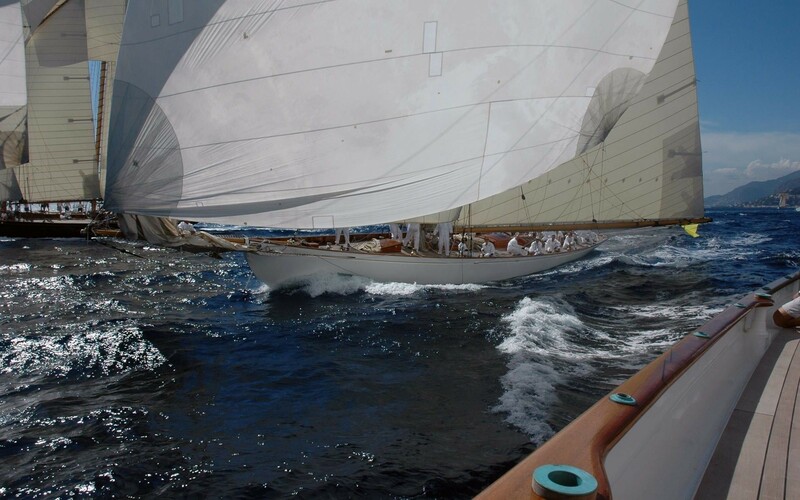 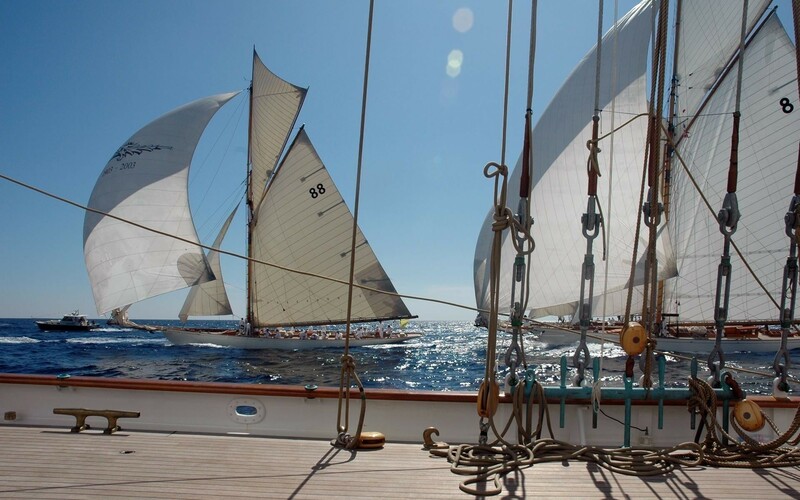 This Classic will provide a thrilling experience for any keen sailors wishing to take part in any of the Mediterranean or Caribbean Classic Regattas. 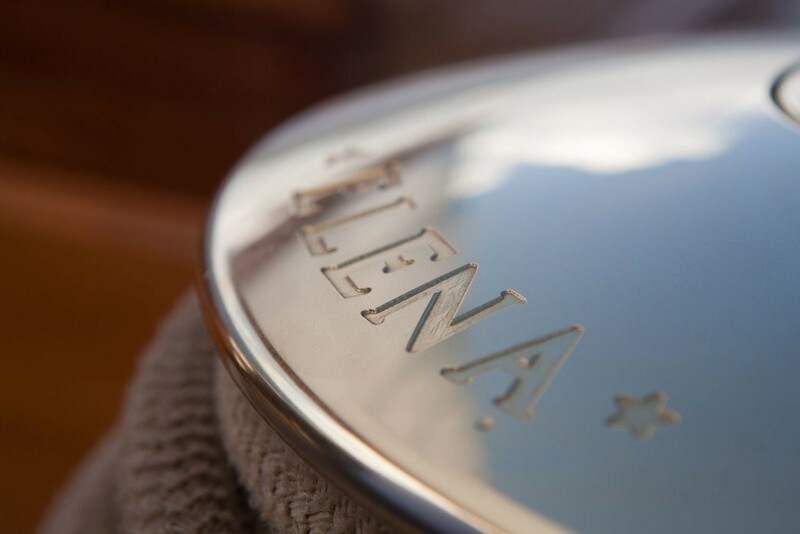 With her expansive decks, luxurious interior and modern facilities, ELENA is also an excellent charter yacht for those just wishing to relax and enjoy her pure elegance. 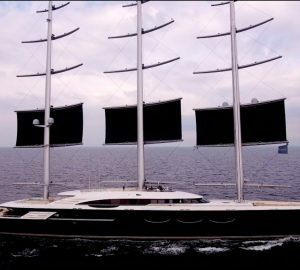 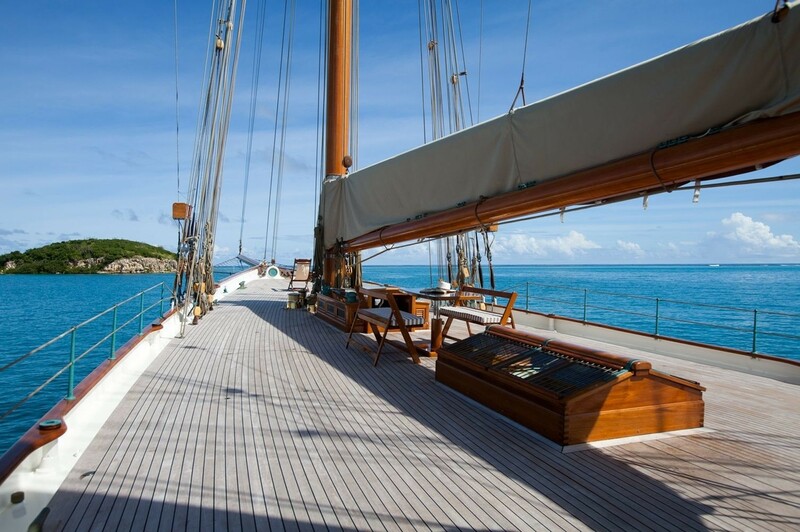 Below deck, she is equipped with the latest navigation and communication equipment, entertainment systems and air conditioning. 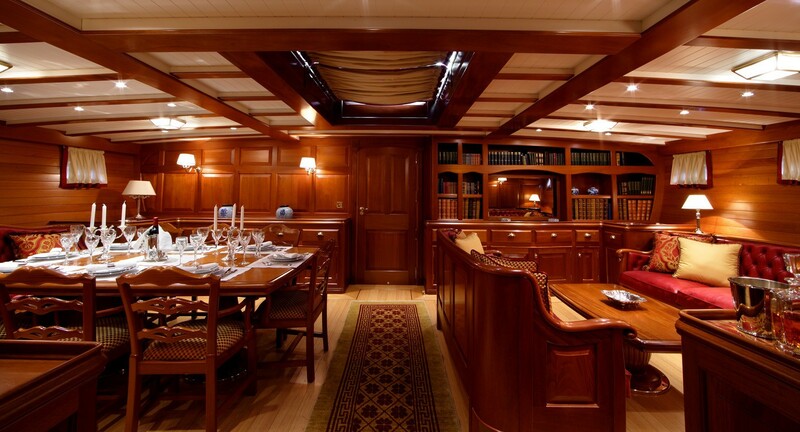 With luxurious accommodation for up to eight guests, the layout remains true to the original drawings from Herreshoff. 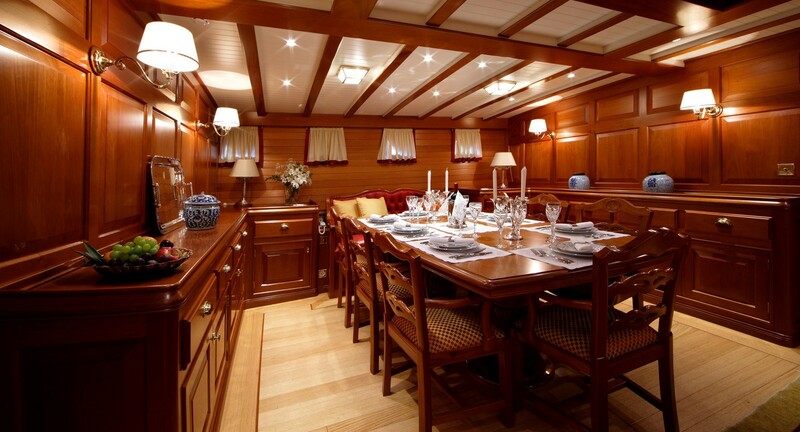 This modern version enjoys the addition of discrete extras to ensure guests can enjoy all the modern comforts. 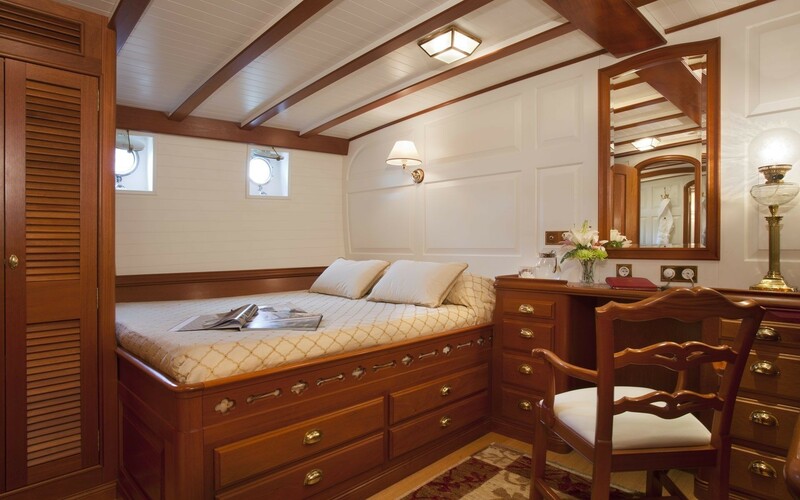 All guest cabins are exquisitely finished with mahogany panelling, while all interior ornamental details follow the original Herreshoff designs. 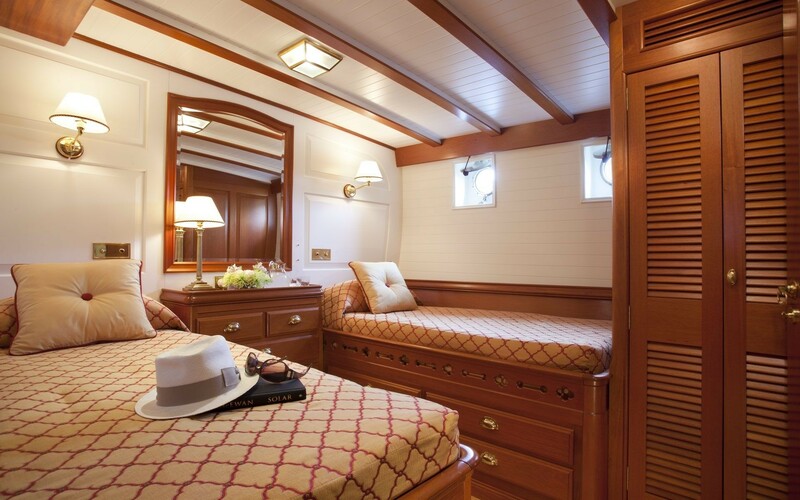 The en-suite bathrooms have separate showers and toilets and are finished with elegant period fittings. 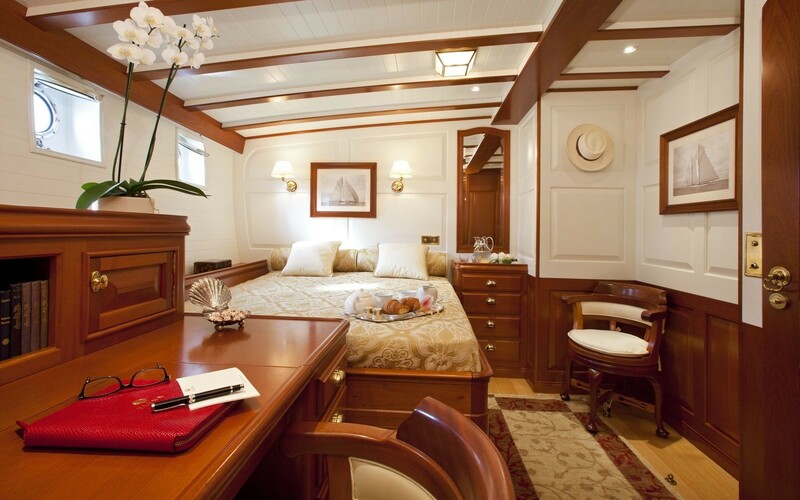 Ample hanging and cupboard space is built in, while each cabin has its own privately controlled air conditioning system as well as an iPod docking station with televisions available on request. 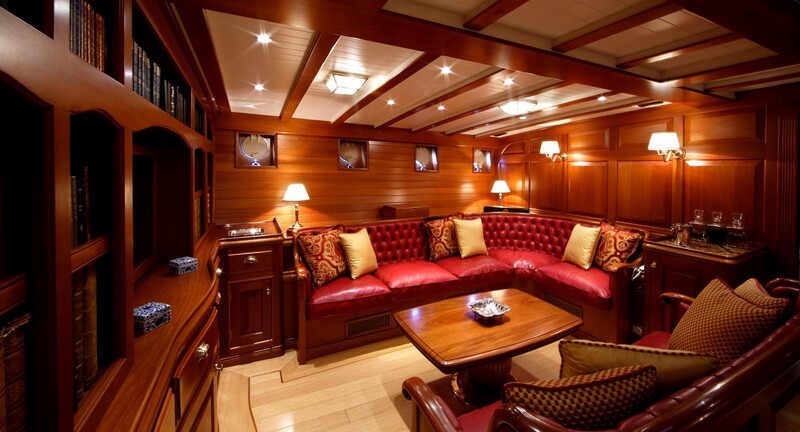 Overhead skylights and portholes offer an abundance of natural light while below deck. 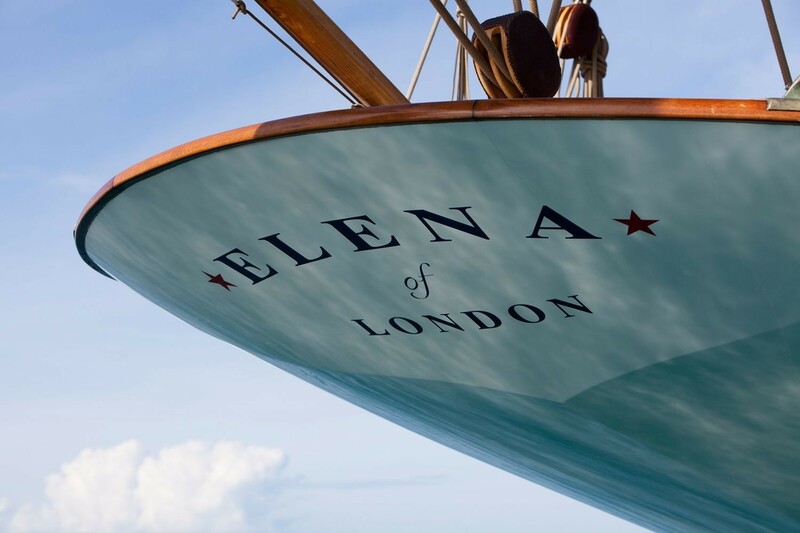 After following the designs of the original yacht ELENA so meticulously, there is no doubt that the rebirth of this spectacular yacht nearly one hundred years later can only be as successful as her original namesake. 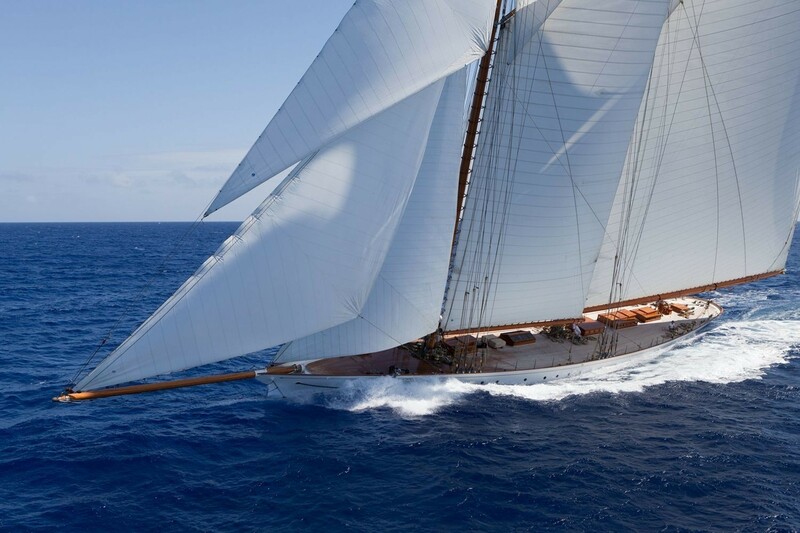 Her unforgettable blend of beauty and sheer speed ensure that she will turn heads wherever she goes. 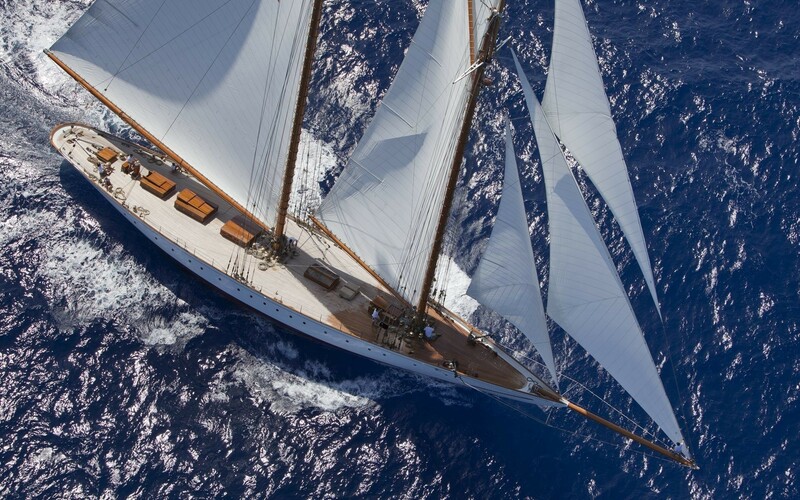 ELENA truly is one of the most remarkable charter yachts available today. 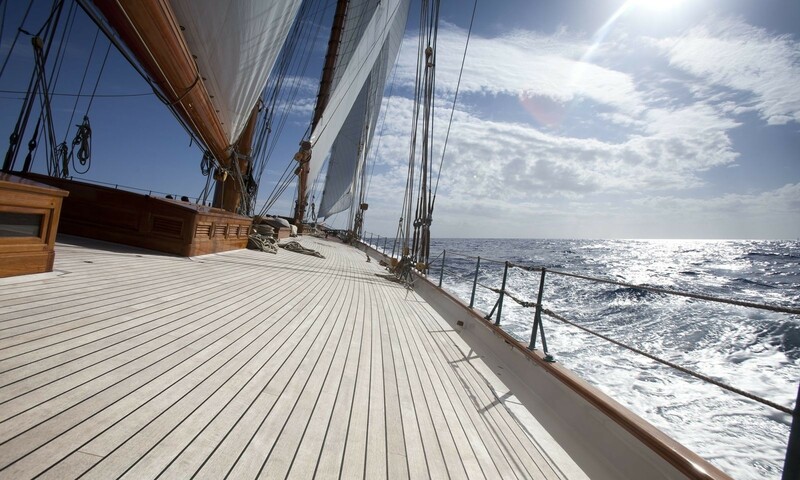 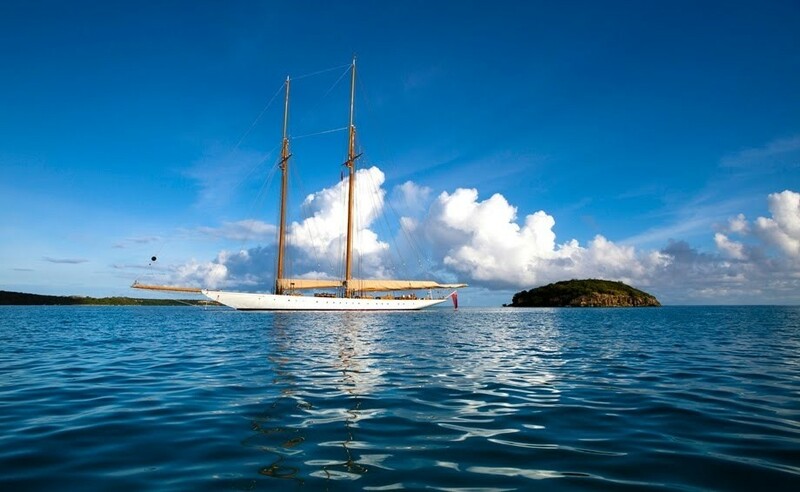 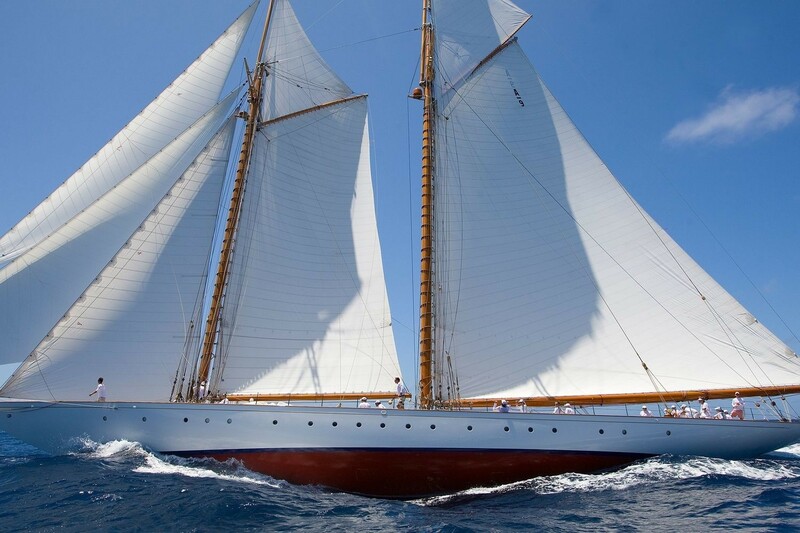 Classic Sailing Yacht ELENA offers accommodation for 8 guests in 2 double staterooms and 2 twin staterooms. 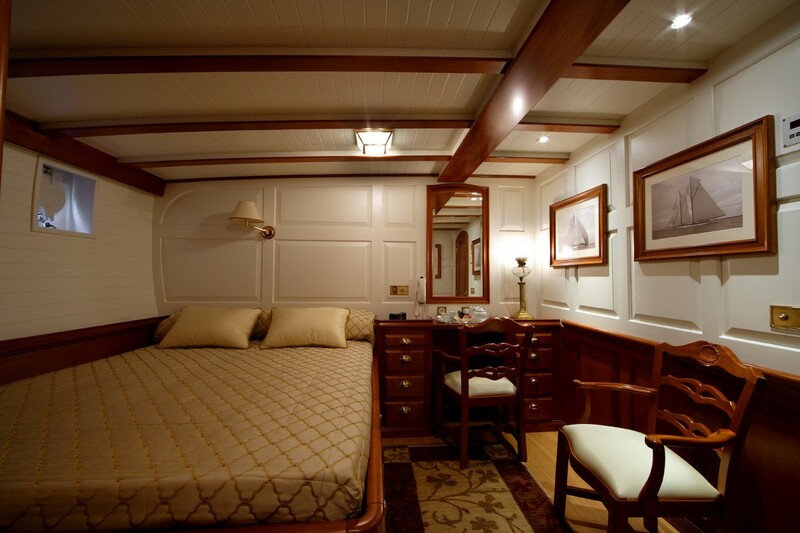 Each stateroom has a private en-suite bathrooms and ample cupboard space. 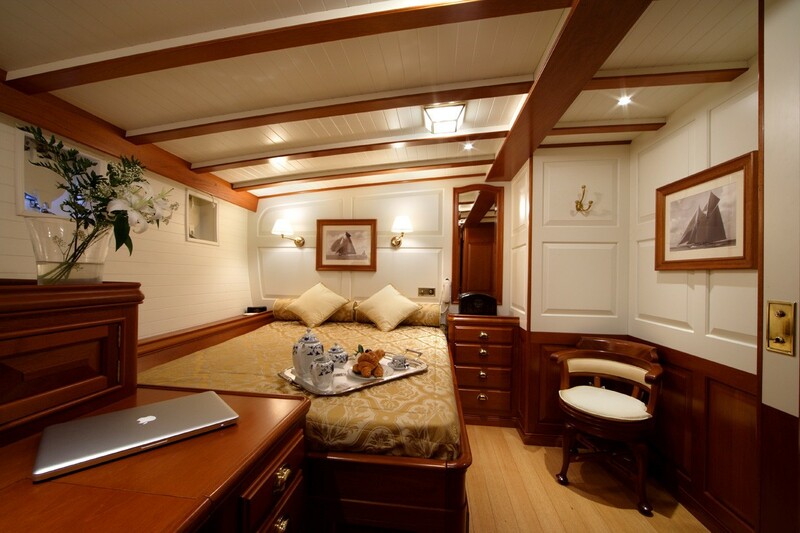 Each has individually controlled air conditioning as well as an iPod docking station with televisions available on request. 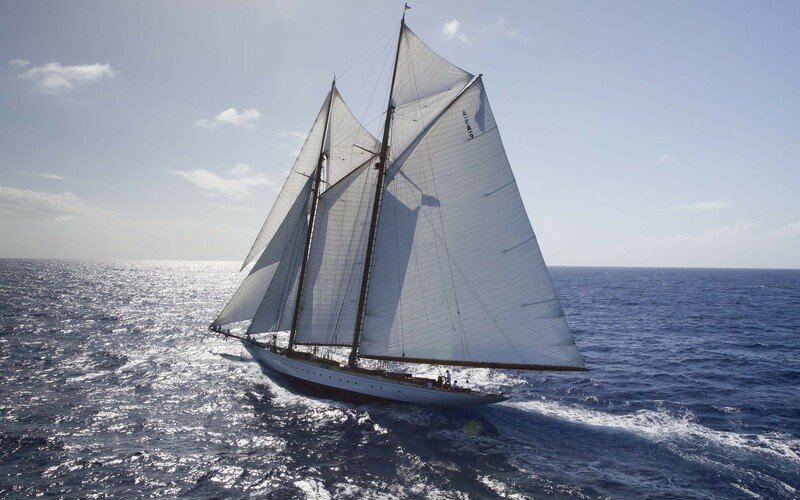 Classic Sailing Yacht ELENA has a Valiant 4.5m with 50hp 4 stroke Mercury outboard engine, state of the art audiovisual equipment with extensive DVD library and broadband and voice communications via fleet 55 Sar and Vodafone 3G. 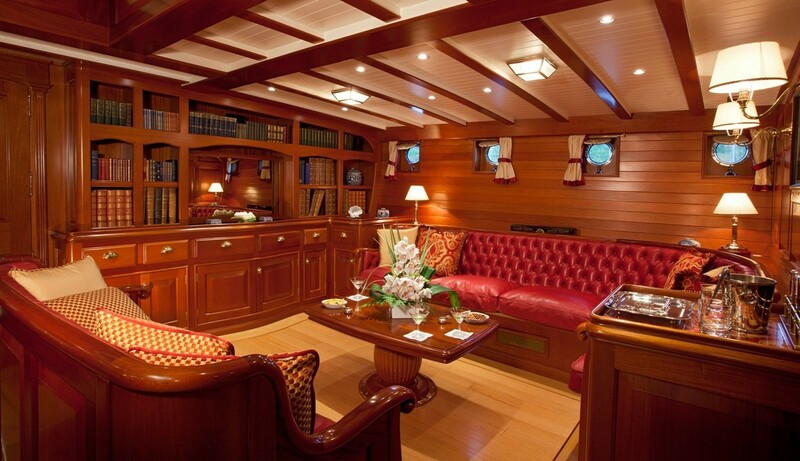 Wifi is available throughout the yacht.